Hi, any idea or way to keep the “group focus” open until the close button or something similar is clicked? 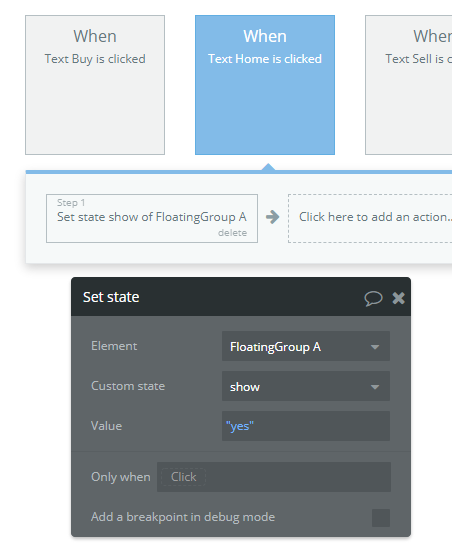 The easy way round would be to just use a group if possible and use some custom states or toggle workflows to achieve. Hey, thanks for the help. 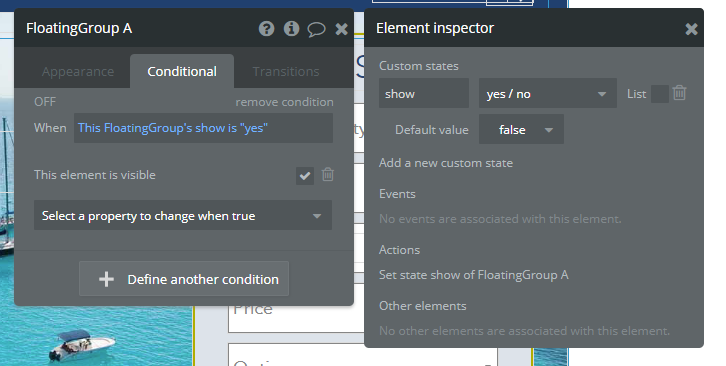 The problem with the other group element is that it mess up the elements when it opens. Is there any settings for group element to make it float like the group focus? Thanks. A good example of what I am trying to achieve is the menu button next to search at the top of this forum. Perhaps try using the ‘Floating Group’ element, this might do the trick as it doesnt seem to interfere with nearby elements and floats above them, like a different z-index. Just make sure that the floating group is set to Nothing.